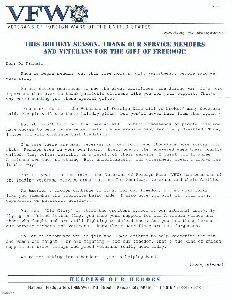 Because of my opposition to the War in Vietnam (see Anti-war Activist), occasionally someone has questioned my patriotism—as in an apparently orchestrated handful of letters to the editor of my hometown newspaper. I responded by addressing the immortality of a my-country-right-or-wrong view and by distinguishing patriot from patrioteer: "An ostentatiously and volubly patriotic person, who makes a career of patriotism for his own benefit" (Webster's New Twentieth Century Dictionary, 1980). 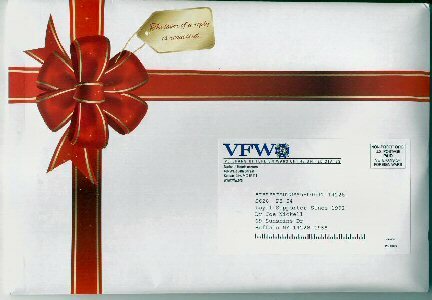 In contrast, the VFW has acknowledged me as a "patriotic" citizen for being a "Loyal supporter of veterans since 1992."